A cursory search for an Inca Trail packing list on the net returns a number of unsatisfactory results that admittedly go some way in providing an overview of the key gear requirements, but fall woefully short in terms of explaining why and what is needed in detail. We know that for our readers the devil is in the detail, so on this page we have set out the Ultimate Inca Trail Packing List that can be used as a complete and reliable resource for anyone thinking of trekking to Machu Picchu. In browsing this Inca Trail packing list we recommend using the quicklinks below to jump to key sections, and bookmarking the page so that you can return to it as your preparations unfold. The weather along the Inca Trail and in Machu Picchu splits into two dominant seasons. 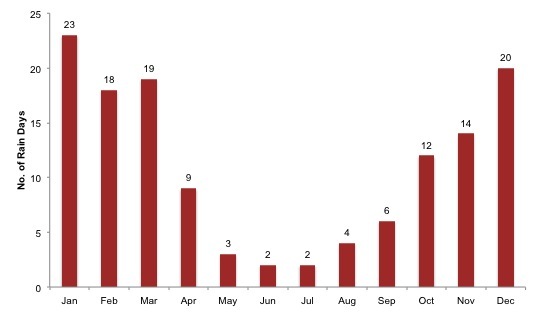 The dry, winter season runs from April through to September, and the wet, summer season from October through to March. The Inca Trail and Machu Picchu is busiest between late May and early September, so to avoid the crowds you may want to consider a trek on the shoulder months of late March into April, or late September into October, or even early November. Trekking in December, January and February is not recommended as trails get very wet. In fact, the Inca Trail is closed for restoration during February each year. It is still possible to visit Machu Picchu by train during these months, but be prepared for rain at the Citadel. Temperatures stay relatively consistent throughout the year, with daily highs in the low 20s, and daily lows in the mid single digits. At night, particularly in the winter season, temperatures can drop a few degrees below zero. 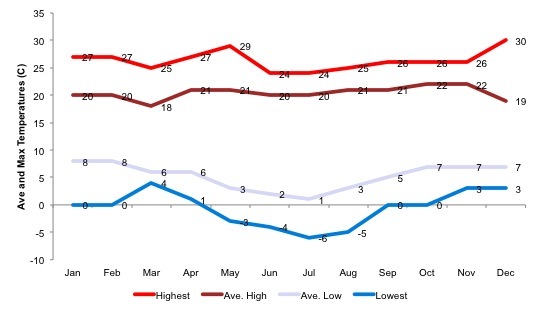 The charts below give a good sense of what to expect weather-wise by month, and dictates your packing list. The Inca Trail packing list below provides a perfect fit for the above assumption. The best way to think about your clothing for the Inca Trail is through the lens of layering. Effective layering only works if each layer allows moisture to pass through and escape to the external environment. In fact the best layered clothing, like wool, promotes moisture transfer through its wicking properties. Cotton and denim absorb moisture and should therefore be avoided. You should bring 2-3 pairs of sports underwear, like those made by Icebreaker, or indeed any sporting brand (e.g. Adidas). For women bring two pairs of sports bras. We recommend Smartwool, but any merino base layer will work. Typically you only need a top (i.e. 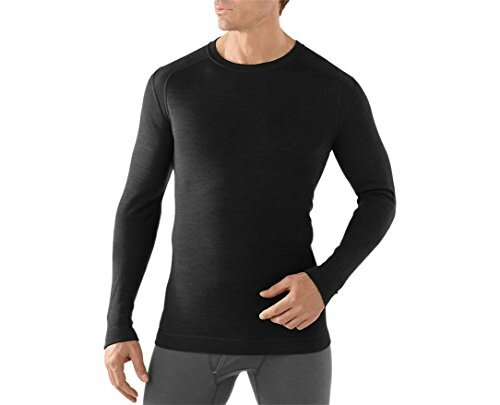 torso) base layer, but it is worthwhile bringing one bottom (i.e. legs) layer just in case it gets very cold in the evenings. In terms of shirts we recommend 3 x short sleeve shirts and 1 x long sleeve shirt. Ideal fabric is a breathable, lightweight and quick-drying polyester, merino or nylon. Make sure that your shirts are not cotton. 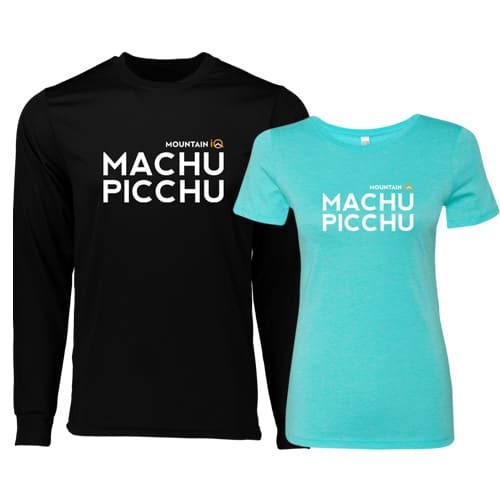 Our partner, Mountain IQ, have an awesome selection of branded Machu Picchu hiking apparel. Get 10% off Mountain IQ gear with our discount code ‘MPTrek‘. Bring 1-2 x pairs of hiking trousers – 1 is fine for 3/4 day treks, an additional pair is ideal for treks greater than 4 days. 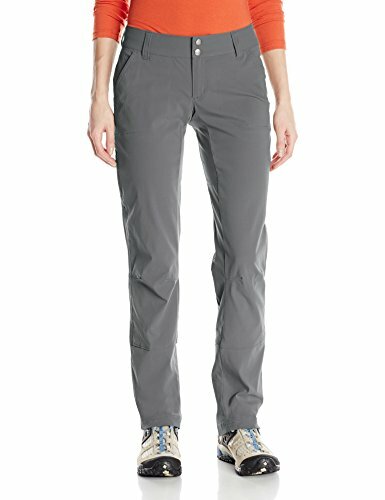 Hiking trousers from Craghoppers or Fjällräven are great. You may prefer to take convertible trousers, for example these by Craghoppers are brilliant. A tip for the ladies: Consider bringing along a lightweight, mid-length skirt (like these) to allow for privacy when changing in and out of base layers on the trail and for unexpected restroom breaks in-between camps. For the colder stretches on the trail you should bring one mid-weight fleece jacket or parka top / jacket. Fleeces that use Polartec materials are great. 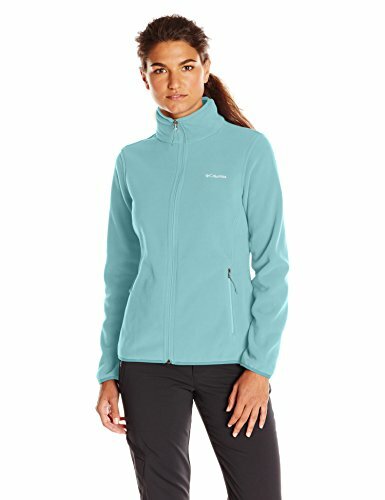 Typically Polartec fleeces come in 100s, 200s or 300s. The 100s are a little light and 300’s too heavy. Two-hundreds provide great warmth and comfort, and are perfect for the Inca Trail. We recommend the Patagonia Torrentshell Jacket, the North Face Resolve Jacket or the Marmot Precip Jacket. 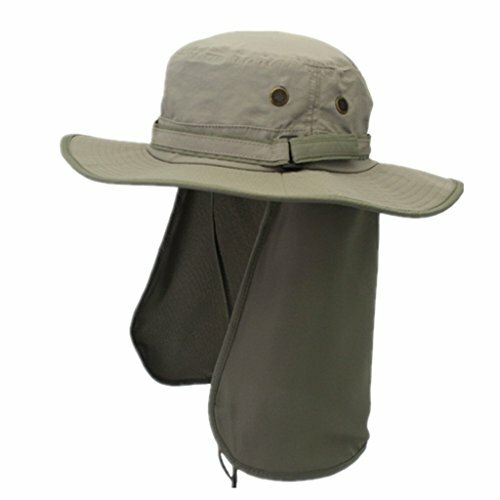 Here are some good hiking hats. 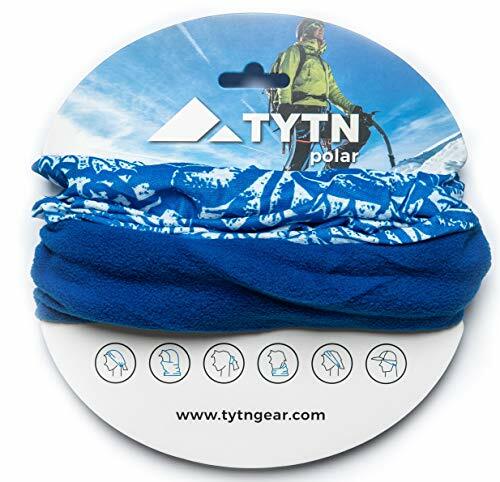 Have a look at these versatile and seamless TYTN bandanas, which are available in microfibre and polar fleece options. They are really affordable and can be used as a neckband, head cover, scarf, bandanna or wristband. As we have already mentioned the nights get cold on the Inca Trail. 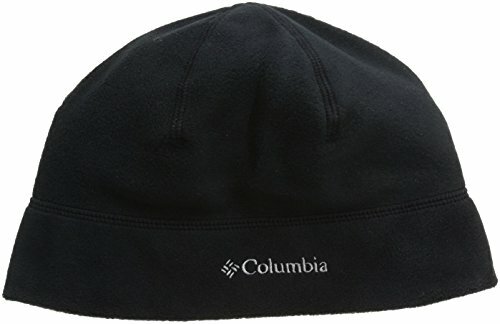 We suggest bringing a winter fleece beanie or head band. Good sunnies are a must. At high altitude (greater than 4,000 meters) the UV intensity is high and visible light strong. This can be damaging to your eyes. 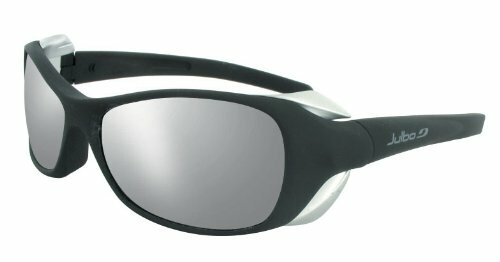 The leader in mountain glasses is Julbo. All their lenses provide 100% protection from UVA, B and C and their category 4 lenses block 90% of visible light. This is slightly over-kill for Machu Picchu as you will not be trekking under snowy conditions which intensifies visible light. Nonetheless, a basic pair of Julbos’ like their Montebiancos’ for men and Monterosas’ for women provide great versatility, are awesome value, and can be used equally well in non-mountain environments. The leader in head torches is Petzl. We recommend getting the affordable, but good Petzl Tikka. There is one mandatory item that you should bring for your hands – lightweight, weatherproof gloves – and another mandatory item you should bring to assist you in your trek – walking poles. Here we discuss the key characteristics of both and provide some affordable recommendations. On the Inca Trail you are not going to experience blistering cold environments that require seriously insulated, heavy gloves or mitts, but you will likely encounter cold nips on the higher passes and in the mornings and evenings. A pair of lightweight, breathable and weatherproof gloves that are built for high-output aerobic activities like trekking, yet provide some warmth in cool environments, is what you should be looking for. 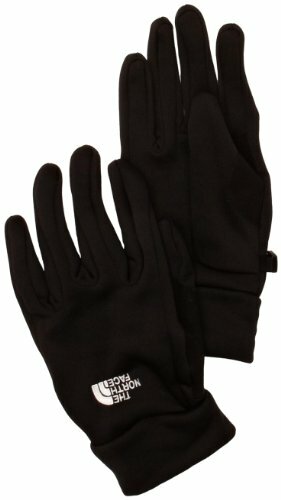 Affordable, yet good lightweight, warm gloves, that provide some weatherproof functionality are made by Outdoor Research, Black Diamond and Arc’teryx. To deal briefly with the ‘weatherproof’ factor, gloves are intrinsically not waterproof as much as retailers will try tell you they are. Without trying to state the obvious, there is a huge gaping hole where your hand sits. Given enough wet weather, your gloves will get drenched inside regardless of the water-resistant membrane. We suggest not wearing your gloves when it rains heavily, and saving them for when it is dry but cold in the mornings or evenings. Walking or trekking poles are a must on the Inca Trail. You will be trekking along an undulating landscape for up to 5-6 hours a day, for 3-4 days. Your leg joints, particularly your knees, will take a battering. With the aid of good trekking poles you will reduce the impact on your joints by up to 25% (a 1999 research study published in the Journal of Sports Medicine showed even better results than 25%). Poles also give you better balance. 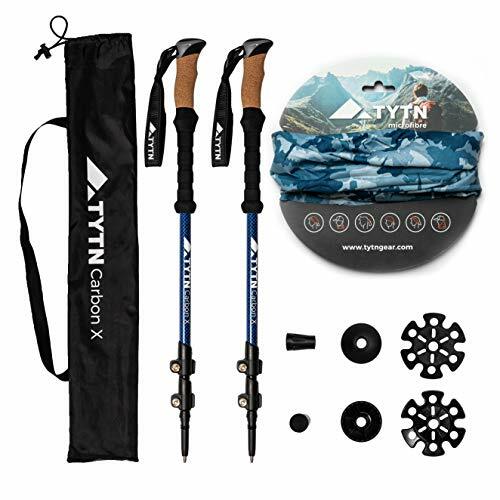 An affordable but good quality trekking pole is the TYTN Carbon X. It’s made from carbon fibre so is lightweight, has a quick-lock system and uses a combined cork and EVA grip for great durability. Alternatively, if you have a bigger budget then the Black Diamond Alpine Carbon Cork or the Leki Corklite are market-leading poles. Hiking boots are one of the most important pieces of gear in your Inca Trail packing list. Your feet are what get you up and down the trail to Machu Picchu. It is paramount that you bring a good pair of boots that are well-worn in (i.e. the inner sole should have started to mould to the shape of your foot). Do not arrive with brand new boots that you haven’t worn yet – you will get blisters, sore feet and even loose toe-nails! There are two key factors to look for in a boot – fit and quality. In terms of quality you should look for these key characteristics. The Italian brand, Asolo, make incredible hiking boots. Have a look at their Asolo Fugitive hiking boot. 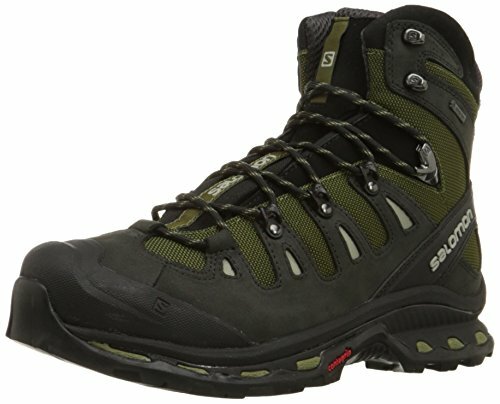 Other good hiking boot brands include Salomon (see there Quest range), Berghaus (see their Explorer range), the Timberland Chocurua or the Hi-Tec Altitude. 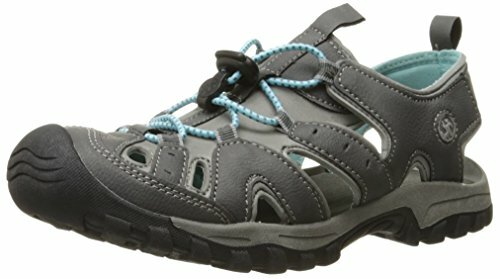 Here are some good hiking sandals (Keen make a rather good trekking sandal). You should bring 4 x pairs of trekking socks. Look for a light-to-mid weight trekking sock made of high wicking material. 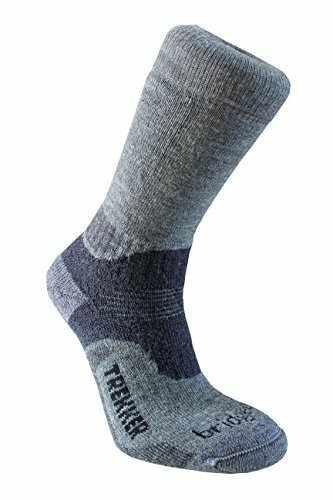 The best trekking socks are made from wool, preferably merino, as they promote breathability and are very good at wicking moisture away from the foot. Alternatively, a merino wool sock with a waterproof membrane is also an option. Avoid cotton as they absorb and retain moisture making your foot susceptible to blistering. If you are allergic to wool you can go for a synthetic acrylic or acrylic-blend sock. Great trekking sock brands that meet all the criteria above include Smartwool, Bridgedale, Point 6 and Wigwam. These socks all have flat seams (bulky seams lead to greater friction and ultimately blistering) and provide great cushioning to the foot. Gaiters sit over your trekking boot and lower leg and prevent mud, water, pebbles, dust and grit from getting into your boots. They come in use on rugged trails or in wet and unpleasant conditions. Most trails to Machu Picchu are relatively well worn but if you are trekking on the shoulder rainy months (March/April and October/November) you may want to consider bringing gaiters. Here are some affordable pairs. The type of bag that you should bring really depends on how your support team is composed. On the Inca Trail many people carry their own gear with porters employed to carry camping materials (i.e. tents, food etc.). It is possible to hire a personal porter who will carry between 7kg-14kg of your gear and some tour companies include porters as standard in their service. On the alternative Machu Picchu treks it is common for trekking companies to use pack animals like mules or llamas to carry gear. In this case around 5-7kg of your gear can be carried by a mule or llama. When you arrive in Cusco you should separate your non-trekking gear into a small storage bag that you can leave for safe keeping in your hotel for collection when you return from Machu Picchu. If you plan to travel to Peru with a suitcase then inside pack your empty backpack or duffel bag, and when you arrive leave your non-trekking gear in the suitcase and use your backpack for the trail. We recommend taking no more than 15kg of gear on your Inca trail trek (this includes your sleeping bag and sleeping mat). If you have porters then it is best to give them gear that you don’t need during each days’ hike, like your sleeping bag, sleeping mat, trekking sandals, spare clothes, toiletries etc, as they typically rush ahead of you to setup camp and hence you will not have access to this gear until you arrive at camp each evening. You will be wearing approximately 3-5kgs of gear each day (i.e. your trekking boots, daily trekking clothes, hat, trekking poles etc.). This leaves a maximum 3kg of gear that you need to carry yourself (i.e. rain gear, gloves, your camera, valuables, fleece etc.). Make sure you factor in the weight of water and snacks which can amount to another 2-3kg. Most people can keep their daypack lighter than 10kg. If you are trekking without porters (this is unusual on the Inca Trail) then you should try to keep your total gear weight below 15kg, 3-5kg of which you will be wearing and 10-12kg carrying. For trekkers on alternative trails like the Salkantay, Choquequirao, Lares or Vilcabamba, you can afford to be a little heavier as you will have mules who can carry 5-7kg of your gear. If you plan to trek independently / unsupported on one of the alternative trails, then try pack as light as possible, keeping your pack under 20kg. You will be carrying your own tent, food and cooking equipment so avoiding any bulky items is important. We have not provided specific recommendations on packs for unsupported treks, but you will need at least a 50L backpack. For an excellent 30-35L bag we recommend the Osprey Talon 33 for men and the Osprey Tempest 30 for women. Alternatively the North Face Casimir 32 for men or the North Face Casimir 27 for women is another great pack. Don’t forget to purchase a rain cover for your rucksack. See Osprey Rain Cover and North Face Rain Cover. The one complication that you might run into is transporting all your gear from your home country to Peru. Thirty to thirty-five litre packs like those mentioned above are relatively small. We suggest bringing all your gear including your rucksack in an 80-90L duffel bag. This can then be left in Cusco, storing your non-trekking gear, and your rucksack can be used solely on the trail. 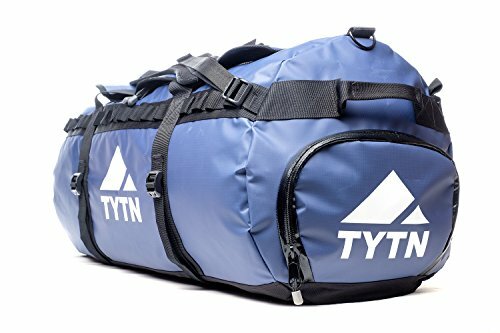 For a really affordable, high quality duffel we recommend the TYTN duffel bag. Top tip: wear your hiking boots when travelling to Peru to reduce baggage weight. One other option that you may want to consider is taking a 30L drybag which can be used by your porters to carry your gear from camp to camp. We have seen a few trekkers use these types of bags as they are super waterproof. 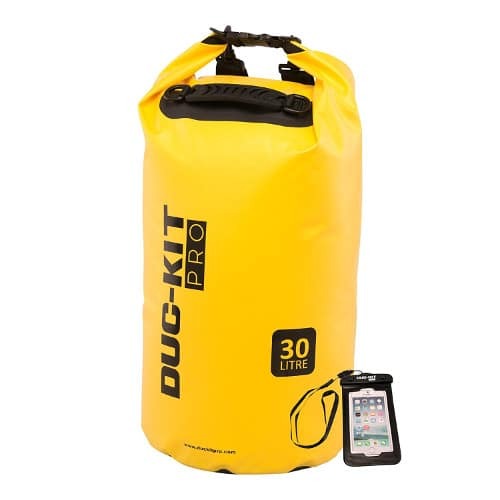 There are a number of good options out there, our favourite is the Duc-Kit Pro dry bag. Due to the effects of altitude you need to stay well hydrated on the Inca Trail. You should aim to drink 2-3 litres of water a day. Water is typically supplied by your trekking crew at the beginning of each day. You should check with the operator that your crew boil, filter and treat the water with water purification tablets before providing it to you. As a precautionary measure you might want to bring your own water treatment tablets. It is possible to buy water at certain points along the trail but we recommend against this as it’s expensive and leads to unnecessary waste on the trail. Alternatively, if you are using a rucksack like the Osprey or North Face mentioned above then a hydration bladder is very effective. 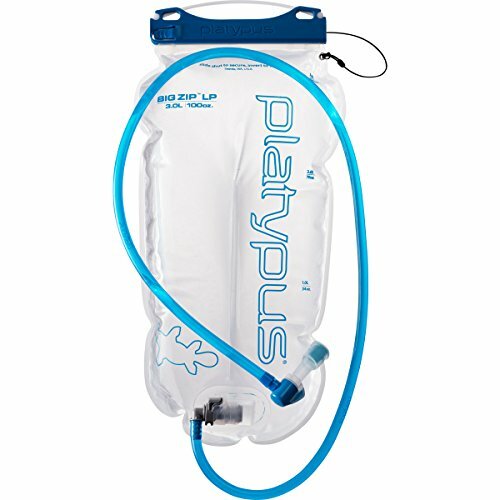 You can go for the Osprey water bladder or our preferred water hydration bladder is made by Platypus. It is a good idea to add an isotonic powder, like Gaterade, to your water for additional energy and better taste. There is one mandatory sleeping accessory – a sleeping bag – and four optional pieces of sleeping gear that form part of your Inca Trail packing list. Here we deal with each. A good quality and warm sleeping bag is a must on the Inca Trail. Here are the key characteristics to look for in a sleeping bag. Please note: It is possible to rent a sleeping bag in Cusco but we recommend bringing your own as rented sleeping bags are often not great quality, and sometimes have questionable hygiene standards. If you do plan to rent then make sure to look for the key characteristics set out below, and bring a sleeping bag liner with you to Peru for additional insulation and cleanliness. Sleeping bags come in two types – goose or duck down, and synthetic. Down sleeping bags are generally lighter, warmer and better quality. They are however, more expensive. To decide between the two types, think carefully about how often you will be using the sleeping bag for future adventures or treks. Many people who trek the Inca Trail graduate to higher more challenging classic world treks like Mount Kilimanjaro, Everest Base Camp trek and the Annapurna Circuit. A lightweight, warm down sleeping bag will serve you very well on most, if not all classic high altitude or winter treks, for many years into the future. On the other hand, if the Inca Trail is just a one off with little likelihood that you will be going to high altitude or on winter trekking trips in the future, then a good synthetic will suffice. Regardless of season, it can get pretty cold at night on the Inca Trail (as seen on the temperature chart above). 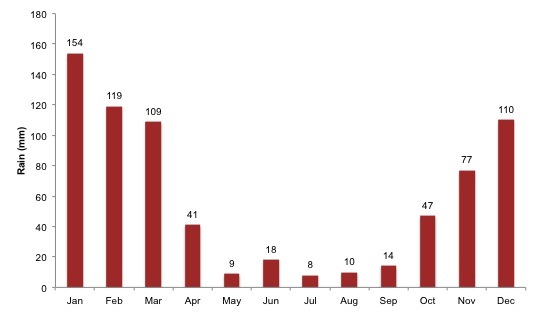 The coldest months coincide with the dry popular trekking season of May through September. During this time sub-zero temperatures are common at night. We recommend a four season bag for all year round with a rating of -10 C (14F). During the dry shoulder months of March-April and October-November you can get away with a three season bag (-4 C / 25F). December, January and February are very wet and not great for trekking. Visiting Machu Picchu by train is fine, but we would not recommend a trekking / camping trip at this time of the year. As you / your porter will be carrying your sleeping bag, the lighter weight the better. There is however a tradeoff between warmth and weight. Try get a bag that is no more than 2.5kg. Mummy-shaped sleeping bags are the best as they are designed to fit the contours of your body and hence provide great insulation. Sleeping bags that have an insulated hood and draw-chord are great. Another useful feature is a two-way zipping system that allows for easy unzipping at both ends. A roll mat is typically provided by tour operators on Machu Picchu treks, but if you want to ensure that little extra sleeping comfort and insulation then you might want to bring a lightweight sleeping mat. You can get a self-inflating version. 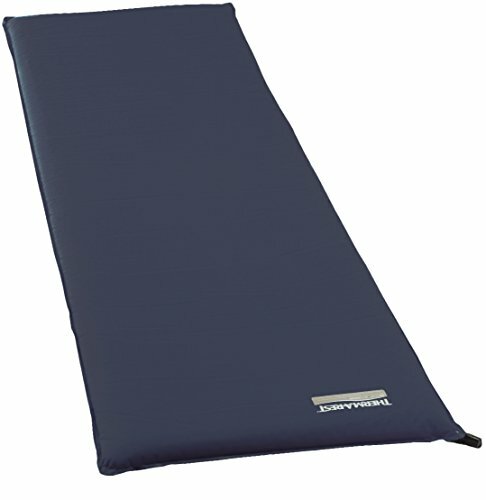 We recommend thermarest mats. If you decide to go for a three season sleeping bag or rent a sleeping bag in Cusco, it’s worth bringing a sleeping bag liner for additional insulation should temperatures get really cold at night. Go for one that is mummy-shaped so that it fits your sleeping bag contours. Here are some good and affordable options. Insurance – You should have trekking and travel insurance for the Inca Trail. Remember to write down your policy number and ideally carry a copy of your policy on you. If something does go wrong the trek you will want to contact your insurance company immediately. We have written a detailed guidance article on how to choice the right insurance here. We recommend World Nomads. You can use the calculator below to get a quick quote or visit World Nomads directly. Sweat Resistant Suncream – Don’t just get any sunscreen. You are trekking to high altitude where the sun intensity is high, so you will need a high SPF (greater than 30). You will also be exerting yourself so a sunscreen that is sweat resistant is important. Speak to any athlete and they will confirm that the best sweat resistant suncream is P20. Make sure to bring sun protection lip cream as well. Insect Repellant – A basic insect repellant is important. Make sure to get a reliable brand that has a high Deet content – greater than 90% (Repel make a great product). Cusco and Machu Picchu are considered low risk malaria zones (see map adjacent) but you can never be too careful, and the flies in Aguas Calientes are large and irritating! Cash – Bring cash in US dollars ($5 per day per porter and $20 per day per guide – average tips for 4 day trek = $100 per trekker) for tips and Soles (in coins and small notes) for small purchases, access to toilets at Machu Picchu etc. The most comprehensive and relevant packing list I have read to date with reasons given for choices suggested. I second that Anne Laird. Excellent detailed Information…Thank you! Thank you so much! It’s so daunting going into an outdoors store and trying to find what you actually need vs what they try and push on you! I am so glad I found this fantastic article with such comprehensive, useful and unbiased information. Thank you for taking the time to write this. It’s really helpful and has cleared so much up for me!! Thanks Alice! All the best. A really good list, i still have enough time left to purchase some last items before i head off to Peru in September. Hi Annabel, not sure of your group make up but it sounds like the tip recommendation you have is for the whole group, not per trekker. $80-$100 per group for the guide sounds about right! Ill be going to Peru in Sept as well! From the 1st – 6th and I myself will be doing a short hike with a group of 10. I’ll be going as well, but from September 9 – 16. I’m glad there was clarification about this. I thought it was a bit expensive! I second the comments on this post! I’m doing the trek in three weeks and have found this list invaluable – thank you! Good article, very comprehensive and useful list! But why do you recommend Imodium for nausea? Imodium is for diarrhea, and is supposed to “stop” the entire system (at least the one sold here in Europe). Great for emergencies, but I think it’s wrong to recommend it for just nausea. You’re 100% right, Johanne. Thanks for spotting that. Zofran ODT is ideal for nausea! Thanks Anita for your kind words about our Inca Trail Packing List! All the best for your trek. Thank you for the comprehensive list and information! I have one question on shirts as we are preparing to leave in August. You recommend three short sleeves, and one long sleeves. In the cold, dry months, are short sleeves with a fleece jacket (and possibly rain/wind jacket over) sufficient? I see in one of your pictures, a trekker wearing long sleeves with a fleece vest. Thanks for any insight! Hi Kelly, thanks for getting in touch. A short sleeve shirt with a fleece and hard shell jacket should be sufficient, but if you are concerned perhaps take 2 x long sleeve and 2 x short sleeve shirts. Hope this helps! Why would you ever take 5 underpants? 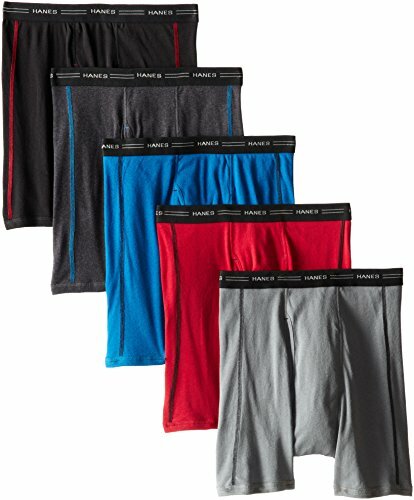 Merino wool underpants dry really fast. Take 2 and wash them if you want to be the really hygenic person. But you can easily wear them for a couple of days without getting odors. Hi Jef, goo point – that is a typo. 2-3 pairs of merino wool undies is more than enough for the Inca Trail. Thanks! This pack list is great but I have a question. I’m due my period during my inca hike. I’d like to use my moon cup but my concern is the availability of clean water to rinse it out 2-3 times a day. Tampons are an alternative but I assume I will have to carry used ones with me until the end of the trip? Finally! A complete guide to what to really bring with you on the Inca trail. A fantastic article that will be my cornerstone to complete our trek! Me and my wife are planning to go to Machu Piccu in September and I’ve been stressing to find a good guide for what to bring and expect on a trek in this amazing country. As many others, we couldn’t get passes for the Inca trail so we went with the Salkantay trek. Anything else you’d recomend bringing or do you need the same things, apart that it’s a 5 day trek instead of 4? 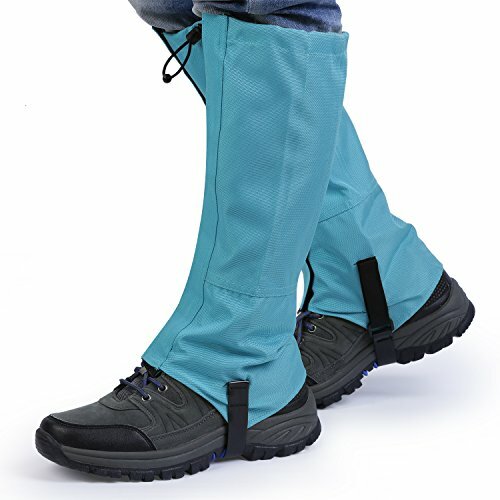 Would you recomend trekkingboots instead of shoes? I understand boots provide more stability for the ankles but I’m worried that the boots might be too warm compared to shoes for a trek in September or is it worth it to have that “safety” and just deal with warm feet or is a good pair of trekkingshoes more than enough? Thanks in advance, great job on the article! Hi Robin, Glad you are finding the Inca Trail packing list helpful. The items you need on the Inca Trail are interchangeable with all the alternative routes, even the Salkantay. I have seen people trek in shoes instead of boots, but I have never been a fan for the very reason you mention – ankle support. The warmth factor is really only an issue at the lower altitudes, higher up the trail can get quite cold depending on cloud cover. Personally, I trek in boots, but I always bring a pair of trekking shoes to wear in camp (after a long day trekking) and I have on occasion started a trek in shoes and switched to boots as a trail gets higher / more undulating / or wet under foot. Hope this helps! Where do you sleep during the night? Do the tour guides provide tents or do we have to bring our own. It was not specified in this post. Hi Natalie, The tour company you decide to go with will provide all camping equipment (sleeping tents, mess tents, tables, chairs etc.). Some even provide portable toilets! Fantastic article 🙂 we are doing the trek next month and are worrying about how we will carry the sleeping bag and mat that we’ve hired, does the trekking company supply special straps /clips to attach to our rucksack? Hi Leona, depending on which tour company you are going with you will likely have a porter carrying approx.7kg of your gear – things like sleeping bags etc. I would confirm with the tour company that they are providing a porter to carry some of your gear. All the best! Just wondering what type of bag you need to pack your gear into for the Porter to carry – does this need to be a pack pack too, or will the porters take loose gear and pack it themselves? Thanks for the help. Great guide. Hi Sonya, porters can carry up to 7kg so the best bag for your gear would be a 50L duffle or 45-50L rucksack. Any day items or excess gear can be carried in your daypack. Hope this helps. I’m not sure if that really answered Sonya’s question. I was wondering the same thing. I will be carrying a 27L backpack for my day-time stuff. Do I need an additional backpack or duffel bag for the porter to carry my extra clothes, sleeping bag, and sleeping mat? I do have a much larger duffel/convertible backpack, however it doesn’t have an attachment for a sleeping bag and not sure if it would fit inside. Will the porter be able to pack my extra gear himself, or will I need to provide the necessary backpack? Hi Veronica, in terms of then daypack that sounds fine. Ideally for the rest of the gear you would pack it into a rucksack / 50L duffle and your porter would carry it. If you are concerned about getting everything in don’t panic, most companies / porters will have canvas bags to carry additional gear. All the best! heading to Peru to visit the amazon jungle and then do the 4 day inca trail hike. will same packing list apply for the amazon portion of the trip? not sure of what the weather is in the amazon jungle. Hi Mary, very similar clothing requirements – i.e. the ability to layer up and down. The Amazon tends to be pretty humid during the day, but temperatures can get cold at night. Hope this helps! Thank you for the fabulous information. I will be increasing my training accordingly! Can you give me any advice about snacks – is it best to buy them locally or should we look to bring them from home? Hi Leisha, there is lots on offer in Cuzco in terms of snacks – from nuts to dried fruit and chocolate, you can definitely find snacks to acquire in Cuzco before your trek! All the best! I’m heading up in a couple weeks. So it sounds like I shouldn’t expect a Club Med masseuse or any hot tubs in camp. I have lots of polypropylene from cycling but I did get short sleeve and long sleeve merino wool tops just to keep the stink down but, this isn’t a dinner dance. Im not sure if you mentioned multi tool. I just packed that. I went to REI and got the towels, inflatable pillow and other things. The pillow is really comfortable. Better than my nightly one. Fifteen years ago I used an inflatable and just threw it out because it was uncomfortable. The only thing that I didn’t get is a pair of zip offs that become SHORT shorts. Not the cheek showing ones but I’ve done years of lifting weights and cycling so my quads get caught on the shorts a little and they chafe a little. Great list, but what do you recommend to bring for leisure at The Camps at Night, and for sleeping? Hi Thale, for leisure I recommend bringing a kindle with a backlight and playing cards. Mess tents usually have a light inside them so you can play cards and chat with your fellow trekkers. All the best! Hi Wayne, thanks for getting in touch. Your biggest risk in terms of altitude is when you land and stay in Cuzco, as the town is already at 3400m. Make sure to rest in Cuzco (not too much activity) or go straight to the Sacred Valley to acclimatise. There are no energy drinks that help with altitude sickness so feel free to choice any that taste good and you like. Coca leaves are purported to help with altitude sickness but there is no scientific proof to strongly support this claim. As for shoes, good hiking books are all you need! All the best. I’m a “check list guy” (years of military flying) and this site has been fantastic for me. I’m headed to trek the Inca Trail (April 2017) to celebrate reaching the age of 70 and a year out from a total knee replacement in 2016. I’m planning on wearing my military boots I wore in Afghanistan a few years ago, just to save money. I’m thinking they should fit the bill just fine. Any thoughts from you? Again, thanks for such a comprehensive list and the reasons for your suggestions. Also, I really appreciated being able to go to the websites you provided for much of the suggested gear. Hi Ken, as long as the boots are comfortable (no hard top toes) then you should fine! Hope you have a blast! Ken, WOW I am impressed! I am 50 and am hoping to do this in three years and am nervous that I’m too old. You have definitely inspired me! Go you! Please report back and let us know how it was. Best of luck and happy trekking! Hello! First of all, thank you very much for this super detailed information 🙂 We are going to Machu Picchu from April 5-8 and we are still debating if we should do Classic Inca Trail or Inca Jungle. What do we miss out by doing Inca Jungle? Somewhere, I read we are not entering Machu Picchu from the Sun Gate if we do Inca Jungle. Are we going to miss so much? Also, I want to be super clear. I don’t need a permit to enter Machu Picchu? It’s the Inca Trail that requires a permit, which is allowed to 500 people a day? Thank you in advance. Keep up the good work!! Hi Midori, The Inca Jungle is more of a full adventure trip (mountain biking, trekking, potentially zipling and kayaking), whereas the Inca Trail is a trek only experience. The Inca Jungle doesn’t visit any archeological sites en route to Machu Picchu, whereas the Inca Trail follows the pilgrimage route that the Inca’s used to reach Machu Picchu and includes visits to many archelogical sites along the way. Finally, the Inca Jungle ends at the town of Aguas Calientes (below Machu Picchu), and therefore does not enter through the Sun Gate, which is the route taken by trekkers on the Inca Trail. You can however, walk to the Sun Gate from within Machu Picchu, thereby getting the iconic view of Machu Picchu. I would say that if you are more of an adventure junkie then the Inca Jungle is a very cool option, but if you want the full cultural experience, the the Inca Trail is a must. The Inca Trail requires a permit (which are in very short supply, not sure if April has already sold out) and you also need to get a permit to enter Machu Picchu (when you get an Inca Trail permit you automatically get a Machu Picchu entrance permit). If you are on one of the alternative trails, like the Inca Jungle then you still need to get a Machu Picchu permit for the day that you are visiting the Citadel. All the best! First off, thank you so much for your wealth of information, this is one of the best blogs that I have come across so far! I will will be heading out to Machu Picchu for the 4 day Inca Trail Trek in July with a group of friends and we are very excited. My question might be an odd one in the bunch but I am wondering if you have any tips or suggestions for those of us who wear contact lenses? Is there access to running water or wash stations along the trail? I am thinking of cleanliness and my ability wash my hands before I put on my lenses and before I take them off. Thank you in advance! All the best! Hi Maggie, I wear contact lenses too. I recommend taking dailies if you don’t already use them. I would also take some bacteria handgel to clean your hands and your tour company will be able to provide you with warm water to wash your hands before touching your eyes. Hope this helps! Is it possible to do the inca trail (with a porter) and only carry a 19L day pack without a waist strap? effectively just carrying water, and important bits n pieces plus whatever clothing taken off during the day? I’m asking because I have one which attaches to the pack which I am using for the rest of my Peru trip and would like to avoid taking any more bags. Hi Paula, I have done the Inca Trail with a very light daypack like yours, so yes it’s possible. Hope this helps! I have a similar question. I can’t figure out what all people are putting in their daypacks to need anywhere near 30L! I usually hike with my Camelbak MULE which is 9L. I will have my (strapping 16yo) son carry sunscreen, blister kit/meds, snacks (I will be in my 50s!). So I think all I’d need to carry is: sun hat, warm hat, raincoat, rain poncho, fleece/down coat, water. I can easily fit that all in my 9L pack (although I might give a couple more things to my son!). Am I missing something? What in the world are people carrying in a 30L pack and why would you need such a large one? Even 20L seems extra large. Also, I see you (and most others) have recommended a fleece. Is there a benefit of this over a packable down jacket, which is SO much lighter and takes us less space? That’s what I was thinking of taking, but I keep seeing the recommendations for fleece. Hi Heidi, yes, you can definitely get away with taking a smaller pack, especially if your son will be carry some of your day items. I would say for the average person a 20L daypack is the perfect size, 30L is the absolute maximum, unless you are trekking without porters. In terms of taking a fleece, I would again say it is up to your personal preference. I find down jackets can get a little too toasty if the weather is not super cold, whereas a fleece provides a good intermediate layer as temperatures drop. Obviously a jacket (down or synthetic) is required when temperatures get really cold. I suggest taking what you are comfortable with, but encourage you to have a few options to layer up and down as temperatures change. All the best! Hi, I am going to be in the amazon jungle march 5/6 and then doing the trail approx. 9-12 march. I just would like to check what your view is of the weather during that time – will it be rainy non-stop or is it more sudden short, sharp downpours? then in cusco, puno, lake titcaca, and lima for the remainder until approx. 18 march. Do you have any particular advice as regards to the clothing for during that time? Best wishes and thanks for all the helpful information on this forum! Hi Kez, Weather in March is variable. You might be lucky and get a few great days, or you could encounter quite a bit of rain. Prepare for the latter. I would say rain tends be more persistent than short, sharp downpours, although things can change quickly in the mountains. Lima this almost always overcast and grey. Temperatures are cool due to proximity to the cold Pacific coast. Lake Titicaca and Cusco will be more temperate but again I would recommend bring layers as temperatures are cold in the early mornings and evenings. All the best with your trip! Hi Tracy, yes you could hire an additional porter. Weight restrictions vary by tour company so please check with them to confirm what weights porters will carry. Sone tour companies include porters as part of their service. All the best! Hi, would you say walking trousers are a necessity to do the hiking trip, or could leggings/yoga pants suffice? Will be there during month of March. Thanks! Hi Caroline, Yeah you could use leggings / yoga pants. 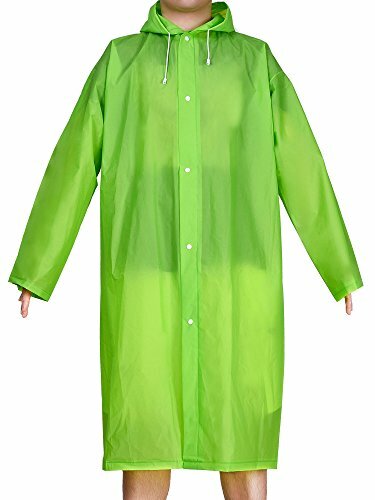 Just make sure that you have a waterproof layer as rain is possible throughout the year, especially in March. Also an additional layer is also a good idea as it can get pretty cold on the higher reaches / in the evening. Cheers! Hi Miranda, most hiking boots are fine for the Inca Trail. Other brands to look at are: Salomon, Scarpa, Karrimor, Merrell, Keen and Hi-Tec. All the best! I picked up a pair of Vasque goretex boots for my trip in May. Will let you know how they worked out! Hi Mark, toilets on the trail have improved considerably over the last decade, but it is still very basic and somewhat unhygienic. My best advice is to carry anti-bacterial gel and wash your hands thoroughly before eating. Some operators offer a private portable toilet as part of their service. This usually consists of a simple bin-type toilet inside a toilet tent, and works really well. Hi Mark, I totally get your point, I prefer light-weight trekking trainers to boots. On the Inca Trail you can definitely get away with a good trekking trainer. Obviously a boot with more ankle support is better but not a necessity. I’ll definitely book thru your site because I can see that you guys are passionate and the site is made with love, that’s why I am confident that the people you work with on the ground have the same attitude. Wish you all the best and keep up the good job. Thanks Ad! Appreciate the kind words, this site is a labour of love! Hi there, as others have said above a great site which I have found an invaluable resource in my preparations for the trail, which is now fast approaching, we go the first week in may, exciting times, what are your thoughts on headphones ? I love nothing more than striking out & trekking with some of my favourite tunes playing, is this ok or will it be frowned upon, instructions from group leaders etc ?.. Hey Matt, thanks for your awesome feedback. Headphones are fine, in fact I quite like listening to tunes when I hike. Just make sure you don’t sing along… Enjoy your trip! Does most everyone use porters? I did 56 miles in the backcountry at Glacier Nat Park last year with about 56lbs starting pack weight. At times it was strenuous but we were doing 10mi a day more or less. Elevation was topping out at 8500ft however… I’m comfortable packing all my own food/gear but still somewhat inexperienced at elevation. Are porters pretty much standard fare for this reason or do many people haul their own gear? Can you get a guide much cheaper if you’re self-prepared? Also does human waste require packing out? Thanks! Thanks for all the info! Excited to be trekking in two weeks. -Gore-Tex is actually the inner membrane not the outer membrane. Also, while fleece is a good all-around material and is affordable, I suggest throwing in a paragraph about alternative midlayers. Fleece is bulky and takes up a lot of space. For readers that may want better gear, perhaps suggest something like a Nano-Air from Patagonia or and Atom LT from Arc’teryx. Lastly, I also suggest mentioning the quality of down and how important it is. If someone reads that down is better, and finds a good deal on a bag with 500 fill down, it will not perform as well as a good quality synthetic bag, and they may be disappointed. That is all, thanks again for this awesome write up. Thanks Martin! I have fixed the typos and will update with your suggestions – both are valid. Cheers! Excellent site, thanks so much. One question, what do people tend to sleep in? I don’t mean the sleeping bag but I mean clothing wise. Do people just tend to wear their lighter layers from the daytime? Hi Dan, this varies and very much comes done to personal preference. But in general I find sleeping in my base layers most comfortable. If you feel you are too cold or too hot you can always put on another layer / warm socks or layer down for the latter. All the best! Hi Paul, not a silly question at all. If the weather is relatively mild you will be find with a fleece and Resolve jacket, but it is better to be prepared for the worst conditions as you will be very uncomfortable if temperatures drop. Its not uncommon to get below zero in the evenings and early mornings on the trail. I recommend taking a down gilet that you can throw over your fleece and then have your resolve for an additional layer to shield from the wind or rain. Hope this helps! Hi. First, thank you for a great site with abundant useful advice. I am doing the Inca Trail in mid September. I am travelling from Scotland, spending a few days in Buenos Aires and Lima before joining my tour group on Sept 9. I keep hearing/seeing that the weight limit carried by porters is around 7 kg. Am I to understand that this should be the weight of my luggage when I leave home (excluding anything weight that I might carry in my backpack)? Many thanks for replies, in advance. Hi Amedi, Yes, weight can be confusing. In terms of porterage weight the limit is 7kg of a trekkers gear. You can carry as much as you like in your daypack, most people carry about 5kg of their own gear. Any gear that you won’t be needing on the trail can be left at your hotel in Cuzco or potentially with your local tour operator. This means your actual weight for leaving Scotland can be in excess of 20kg. Hope this helps. All the best! Many thanks Mark. Your reply was very helpful. I am now back from my travels, having walked the Lares trail and lost myself totally in the magic of Machu Picchu. Most enjoyable and a little painful experience. 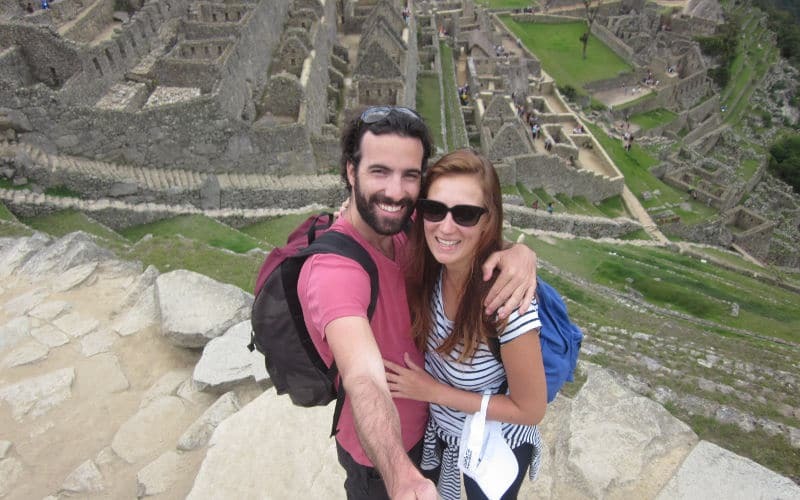 Hi Amedi, Delighted that you had a great time in Peru and on the Lares Trail to Machu Picchu. All the best! Great post! Roadeavour gears has some good quality stuff as well. Really helpful list, I am leaving for my hike quite soon and it was great to finally understand what I need to pack. My one question is how long does it take to break hiking boots in? I have a new pair and I’ve worn them a bit but never on any hikes. They feel pretty comfy but I’m not sure how they will treat my feet after hiking all day? I’m a dancer so my feet are very importent to me and I definetly cannot ruin them on this hike! Hi Ivy, well-broken in boots have an inner sole that has moulded to your feet. It’s unlikely that your boots are at this stage, however, it does sound like they have seen some action and that they are comfortable. If you have time try wear your boots on a practice hike or just out and about for a day. I would also wear them on the trip to Peru, that way they will get some more action and if your luggage is delayed you won’t have to postpone the hike. Hope you have a blast! Really extensive and the links to products are also very useful..thanks…will be consulting this list as the trek draws near. This is an amazing article from you with necessary things. Can i get a simple suggestion please? I have allergy from wools. But I saw that wool socks are very common. Is there any other type of socks you suggest which can be suitable for me? Thanks in advance. I am looking forward to hearing from you. Hi Justine, your best bet is to go for a knitted acrylic sock or you may want to try using a polypropylene liner sock under a wool sock. Hope this helps! Thank you for this really helpful advice. However, I am concerned about the small amount of insulation you recommend. I assume your clothes advice is geared towards the average male – do you have any advice for women? I’ve heard that women require more insulation than men to stay warm. I am a very slim woman so assume I would require more insulation than the average woman, and a lot more than the average man! But I don’t know how much extra I would need. A fleece alone would certainly not be enough to keep me warm sitting around a campsite in the evening even at 10 degrees C let alone below 0C! It does not sound like coldness would be an issue in the day when walking, but I was expecting to need to take a heavy duty down coat for insulation while sitting around camp in the evening? Also, I was wondering what your views were on lightweight synthetic jackets versus a fleece as a mid layer? Many thanks! Hi Alice, it is worth bringing an additional insulation layer, like a lightweight down or synthetic jacket, if you are concerned that you will feel the cold weather more than the average person. The hard shells suggested in this packing list have some insulation, which, when combined with a base layer, a trekking shirt and fleece are generally sufficient. However, if you are concerned that you are going to be cold I suggest taking a lightweight winter jacket, like the Rab microlight jacket (see: http://amzn.to/2kiliws) or an equivalent synthetic jacket. 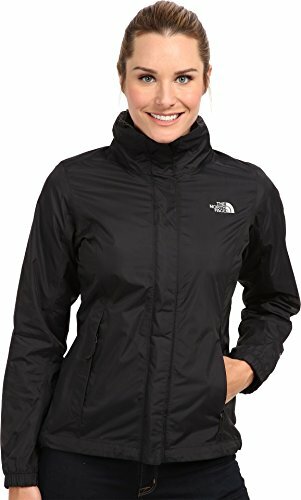 Gilet / Vest jackets also work really well, like those from The North Face – see: http://amzn.to/2khuTUp. I hope this helps! Hello. This is a great list, thank you! I will be using it when preparing to trek (August 2017). Can you please explain what the trekking and travel insurance is for? Is this highly recommended? It is not something I had thought of/was aware of. Thanks! We are a group of 10 doing a trip with a tour company. Hi Jennifer, delighted that the packing list is proving helpful! In terms of insurance, this is optional, but I would recommend getting some type of travel insurance just in case something goes wrong (flight delayed / operator cancelled / lost luggage / injury ect.). As you are planning to do the Inca Trail, should something happen on the trail that requires medical assistance / hospitalisation then you will want a policy that sufficiently covers you. Many standard travel policies don’t cover activities like hiking up to 4000m, that is why I recommend a provider like World Nomads. Hope this helps! Fantastic and very insightful article – The best I’ve found! I just wanted to throw out that women may want to look into hiking skirts. Way more modesty when relieving ourselves and easy to throw leggings on underneath if it gets chilly. I love them so much I wear them for all of my travels now. Thanks for the highly detailed list of things we will need for our trek. We are planning a trek on the Salkantay trail and this will be our first trekking experience. With having no experience and no trekking gear this detailed list is a great starting point in a long list of things we will need. Glad the packing list has proven helpful Tom. The Salkantay is amazing, enjoy the trek! Thank you – perfect info! Hello. Thank you for the detailed list and related explanations! A tip for the ladies: Consider bringing along a lightweight, mid-length skirt to allow for privacy when changing in and out of base layers on the trail and for unexpected restroom breaks in-between camps. Thanks CS, great idea! I’ve added it to the list. Hi Mark, Great article! Thanks for the info! I’m doing the Inca trail and looking at the Ospray Mira 26 hydration pack. We have planned to hike Huayna Picchu as well, but I’m hearing that the pack would be too big to be allowed at Machu Picchu for the day. Can you confirm this? I would want to have a bag to hold water and snacks while climbing Huayna Picchu so trying to figure out what to do. This must be a common challenge for other trekkers..? Hi Marlee, thanks for getting in touch. The rules at Machu Picchu are forever changing so it’s a good idea to check with your tour operator to see if any new regulations have come into force. The last update on rules was in July 2017: https://www.machupicchutrek.net/new-machu-picchu-regulations-timed-entry/. Unfortunately, bags greater than 40x35x20cm are not allowed into Machu Picchu. I’m not sure of the exact dimensions of the Osprey Mire 26, but if it is too large you can always store it at your hotel in Aguas Calientes, or there are storage rooms near the entrance to Machu Picchu. You can take bottled water into Machu Picchu, but no food. All the best! Stellar information. Just stumbled on your site. We are doing the Inca Trail in October with Alpaca Expeditions. Your gear and weather advise are excellent. Thanks John and Susan, hope you have a great trek! This is an amazing breakdown of what you need and why. It has taken a lot of the guess work out of planning my trek, and saved me TONS of time researching what options are best. Thank you so much for taking the time to put this together. One Q, do I need a tent? Or do most tours provide tents for you? Thanks Akiko. You do not need to bring a tent. Your tour company will provide all camping gear and tents. Just got back from the Inca Trail (September ’18) and used this excellent list of things to take. It was right on target. There were some things we didn’t end up needing (like raingear) but we’re glad we had it. Thanks to Mark for this list. Thanks Gary, glad you had a blast! As I come from warm climes, I have some confusion about the use of a super warm base layer. Seems to me you would want a cool option (like t-shirt) on the bottom so you can just strip layers off as you warm up, and put more on as you cool. If you have to go bare chested to remove a woolie base layer in order to replace it with a cool t-shirt, then fashion has won out over function. But I do understand the logic of not wanting a cotton base layer retaining moisture under your woolies. Hi Finjan, I can see the confusion. The base layers I’m referring to are lightweight merino wool (very breathable fabric), that you will only wear higher up on the trail when temperatures get quite cold. It’s affectively a next to skin layer for frigid days. If the temperature is quite warm you will likely not have to wear this layer, or if it heats up a little you can basically strip to this layer or just have your lightweight trekking shirt over it. Hope this helps. I am planning a trip in April to take the Inca Trail up to Machu Picchu. The tour I am considering will have porters and a tour guide. With regards to camera–I am torn between wanting to plan light, yet wanting great photographs. I do sports photography as a side job, so I have a great Canon body with an expensive 70-200mm f/2.8L IS II, but that set-up is heavy but will provide outstanding photographs allowing me set all of the controls. On the other hand, I could just pack my Canon point-n-shoot camera which is light and compact. So, my quandary is, take the big DSLS with expensive heavy lens (worth about $3,200) that takes high quality photographs that allow me to control all settings and worry about caring for it our on the trail, or go light and take the compact little point-n-shoot (worth about $350) that will be wide angle and provide me with very limited controls over exposure that will be super easy to care for and keep up with. What would you recommend? I don’t want to take both. Whichever I choose, I need to start saving and buying extra batteries for right now, since cant recharge camera batteries out on the trail. Your advice will be appreciated. Hi Jay, that’s a tough one to answer. It really depends on how important it is to you to take great pictures. It sounds like photography is a passion for you so taking the DSLS will certainly allow you capture the best of the experience. That of course needs to be weighed against the additional weight you will need to carry and care you will need to take to ensure your camera doesn’t get damage. My advice, go with your gut! Thank you SO much for all of this information! I’m very excited for my trip (in just two weeks) but have found myself getting anxious and worrying that I don’t have everything I need. I would never have thought of the bandana to avoid sunburn on your neck or the fact that cotton is a terrible material for hiking. This is my first trek ever, and I can’t tell you how much I appreciate the advice! Sure thing Hannah, glad we could help! Best of luck for your Inca trek.